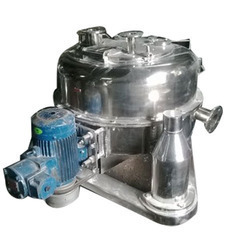 Manufacturer of Three Point Centrifuge. Our product range also comprises of Industrial Blenders, Distillation Columns and Heat Exchangers. We are widely acknowledged amongst the trustworthy names of the industry by offering a superior quality array of Three Point Industrial Centrifuge Machine. Looking for “Three Point Centrifuge”?